One87 is an established household name in the international drum and bass scene for more than 25 years. 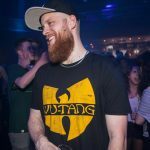 A pioneer at the cutting edge of the Belgian movement – he still very much is the driving force behind the successful party concept Star Warz. These nights have welcomed many of the greats in breakbeat and he’s been invited to play alongside them on countless occasions as well. 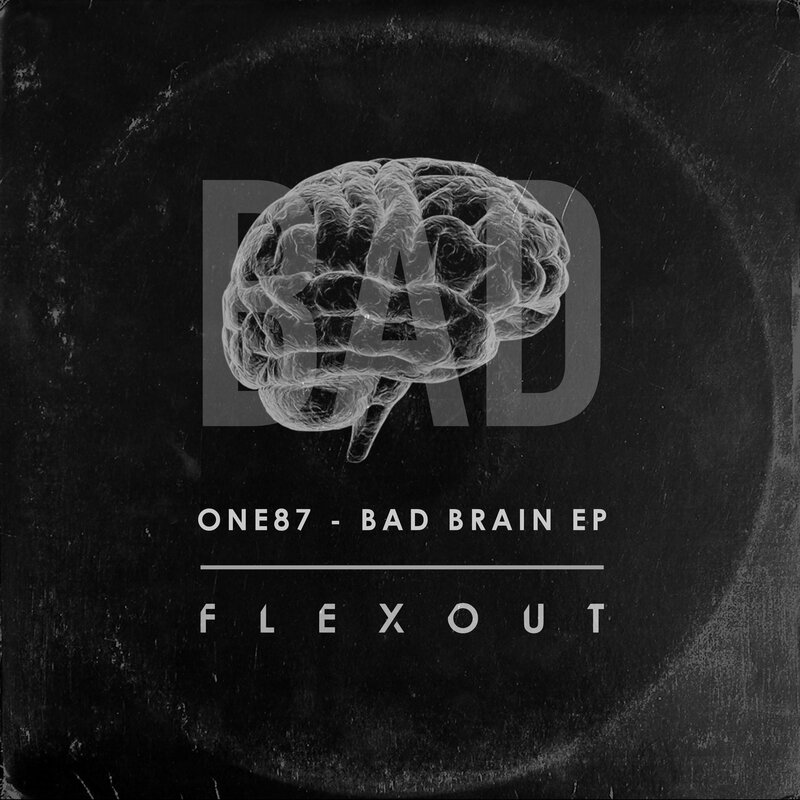 We’re on the brink of his new EP, called Bad Brain, being released on Flexout Audio, essentially breaking the silence as producer after more than seven years. Meanwhile, S.P.Y has invited him to join him on stage at Curated by S.P.Y. event next April 20th in Paradiso, Amsterdam. Time for a quick chat! People mostly know you as a DJ and promoter. What can we expect from One87 ‘the producer’? I’m not planning to reinvent drum and bass, I only want to make cool dancefloor rollers. Keeping it simple, that’s it! I’m part of the drum and bass scene for more than 25 years. All kinds of genres have passed the dwelling throughout the years and they all have an influence on my music. I can’t point out one thing, it’s a blend of everything as long as it’s quality. Why have you chosen Flexout Audio as the label for your EP? I have previously released a track called Impact Winter on Flexout in 2012 so it’s a logical step to do another release on the label. What are the first reactions on the EP from colleague producers and the dancefloor? I’m getting a lot of support and I’m very grateful for that. I’ve played it at several parties and the people don’t stop dancing, so they really dig it! You’ve been in the scene from the start and have seen genres and trends come and go. Nobody ever imagined drum and bass to sell out the Sportpaleis in Antwerp (Rampage) two days in a row. How do you explain the current popularity and is it permanent? Drum and Bass as a scene and genre is always looking forward. The scene has a lot of innovative labels, producers and promoters. It’s that innovation that makes the scene grow slowly, but at a steady and stable pace. More than 25 years later, we now have these mega-events. I’m really proud of being a part of something so successful! Belgium is playing an important role in the international drum and bass scene. We’ve got mega stars like Netsky and Alix Perez. Who is the next big Belgian star? We are blessed in Belgium with a lot of talent at the moment. Bredren, M Zine, Scepticz and of course Phase are the stars of tomorrow. They all have the opportunity to get really big. S.P.Y has invited you for his ‘Curated by S.P.Y’ night, on April 20th in the legendary Club Paradiso in Amsterdam. Is this a big honour for you? Yes, I’m very honoured to play alongside S.P.Y. I have supported and booked him since the beginning of his career. We respect each musically and personally. What do you think of the concept and what’s your opinion of the rest of the line-up? I think Curated by is a very cool concept. From the start, they have been spot-on. Every edition has a proper line-up. Thankfully they haven’t changed their concept. The next one is pure class and not to be missed! What’s your favourite S.P.Y tune? S.P.Y has made a lot of quality tunes but his Junglist remix is my current favourite. One87 will play alongside S.P.Y, Break, Technimatic, MC Lowqui and Dan Stezo at Curated by S.P.Y on Saturday, April 20th 2019 at Paradiso Amsterdam. More info: party agenda, Facebook event & Paradiso website.